One of the most beautiful components of a headpiece or hat is the feathers that adorn it; and I am constantly overwhelmed with the stunning feathers that arrive into my studio from across the country, either by post or personally delivered; hand collected and lovingly passed on. Feathers are always soaking at my place and for those that really want to kick back and relax, preening the feathers is the therapeutic activity that follows. 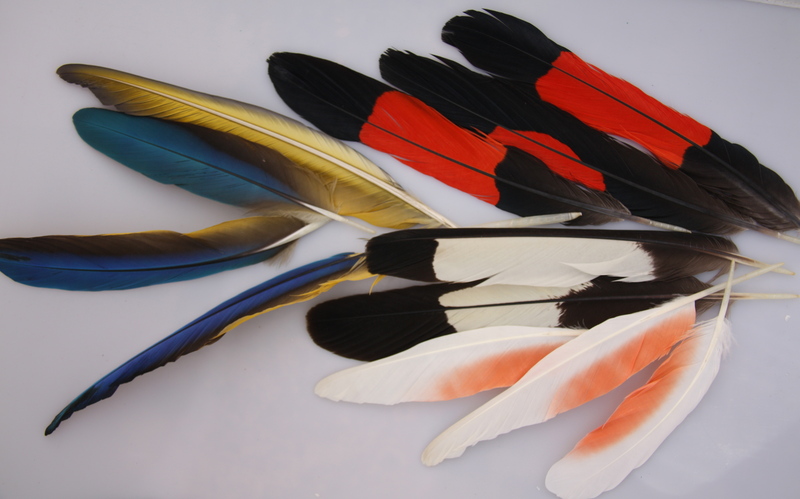 Here is an example of the calibre of feathers that arrive; these were collected by Parna Lawless in Perth. – a huge Thank You to Parna. Every collection of feathers has a story, which in turn creates a story for the piece and keeps them not only unique by design but also by nature. Keep watching to see in which millinery creations these stunning feathers will sit. That’s what is so special about your pieces – provenance!